Have you noticed how the standard response from most people has changed from “I’m good” to “SO BUSY” when you ask them how they’re doing? It’s sad, but true. All of us are becoming busier and busier every day. As our lives fill up with appointments, it’s important to make sure we remain fueled. That’s one (of many) reason(s) we’re glad there’s a Break Time seemingly every in Columbia. Whenever we step inside, we can expect a clean facility, friendly and helpful service, and great prices on whatever we need to keep our day on track. Break Time (and MFA Oil) are as much a part of Mid-Missouri as the Tigers. They’re woven into the fabric of our community, making our lives easier everyday without us even noticing. 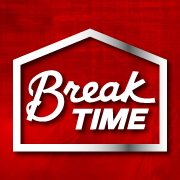 Want to get to know our friends at Break Time better? Enter the awesome contests they are running ALL THE TIME? Connect with them on Facebook. And make sure you swing by this week to pick up everything you’ll need for the big game next weekend.